I think I'm a convert! If any of you are thinking of trying it then I'd highly recommend it. It's a kind of short row heel but slightly different technique to what I've done before. The back of your cardigan is terrific. I like how the upper isn't boring stockinette. You've made tremendous progress. Love the sweater design and color. The sock is pretty cool too. 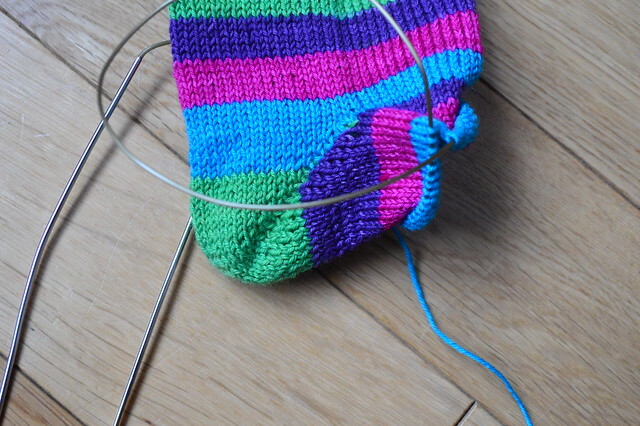 ;-) I have never knit socks, so I'm curious to give it a try. I watched my sister work on one last year, and it piqued my interest at the time. Hmmm.... it just may be in my near future. Cute WIPS! I have made little progress on my WIPS this week too. Oh well, there is always next week. 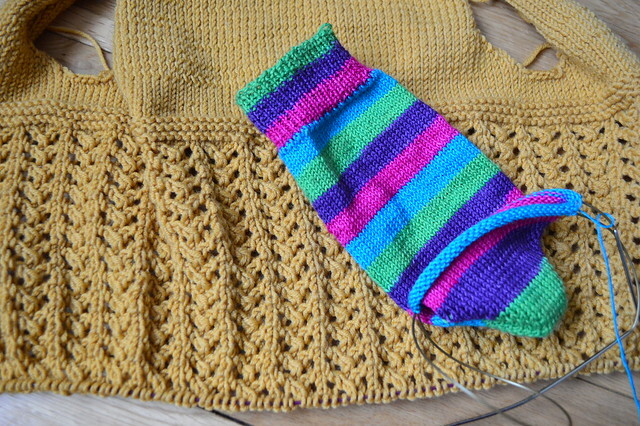 Oh, I love the stripey socks!